Our most frequently ordered date calculator. Pocket size for easy access. Plastic for durability. 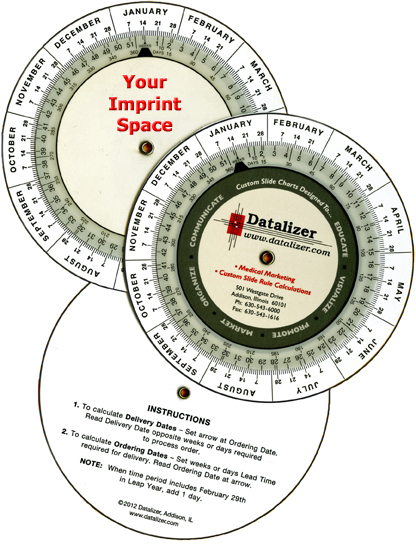 Available with or without your company contact information custom printed on each unit. Materials: White plastic base wheel and clear plastic top wheel. This stock item is available with or without your contact information custom printed on each item.